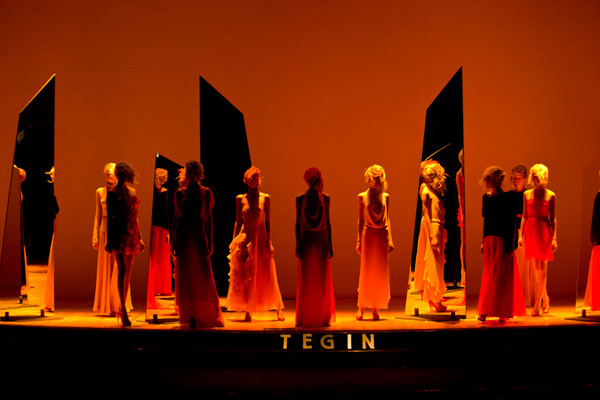 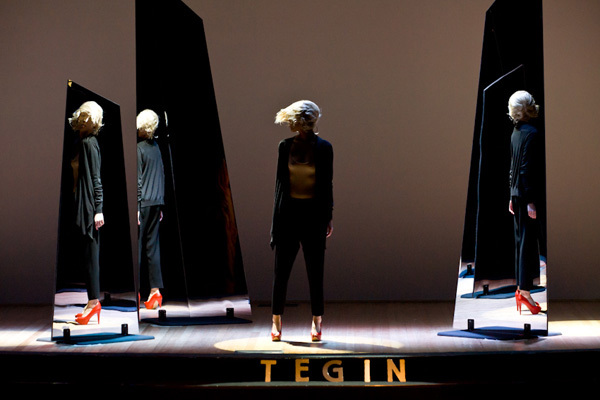 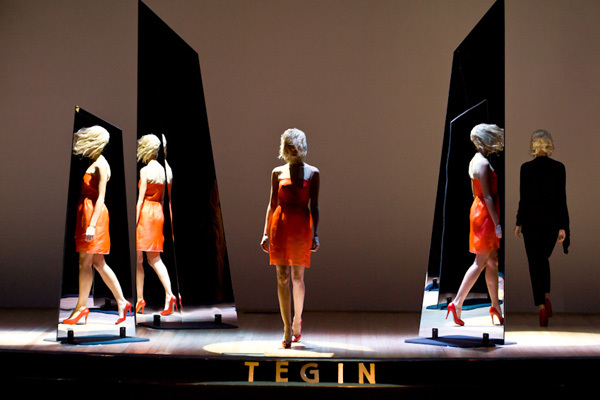 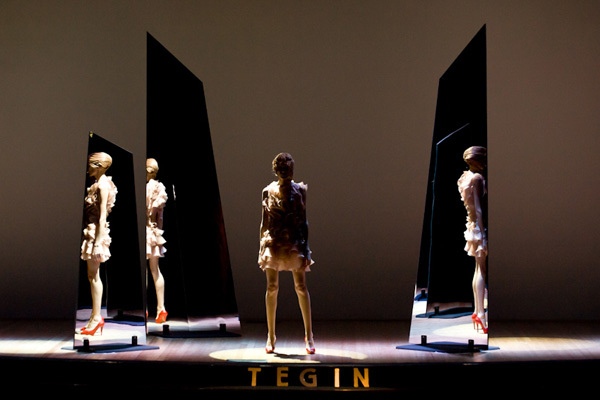 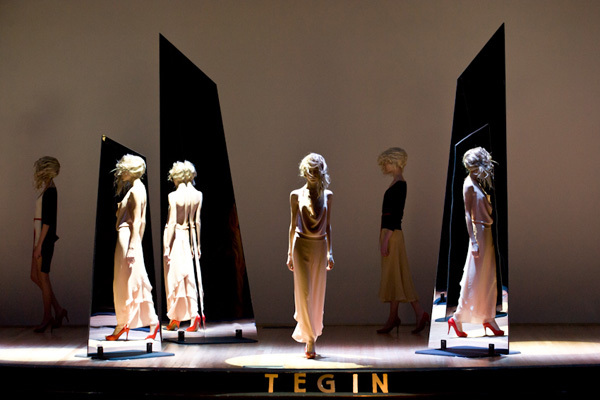 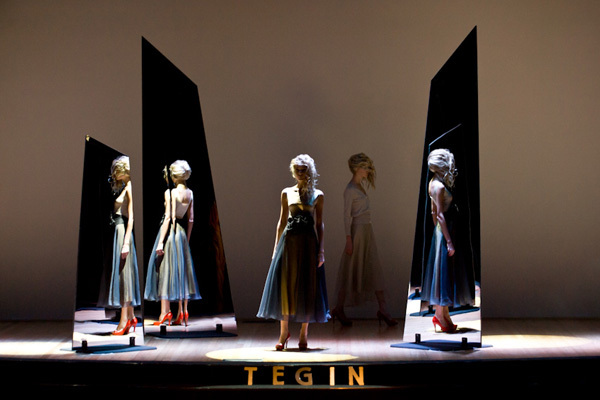 Svetlana Tegin specializes in multilayering, cashmere and spectacular shows. 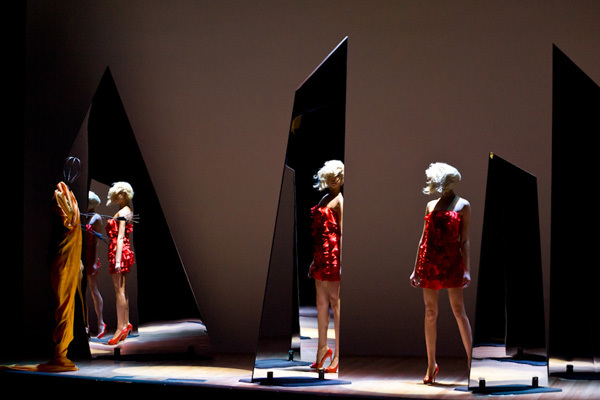 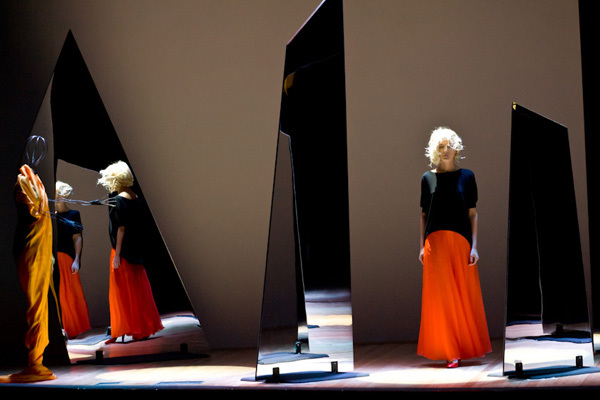 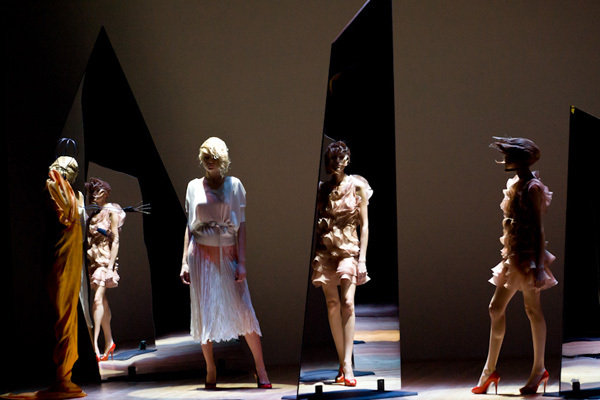 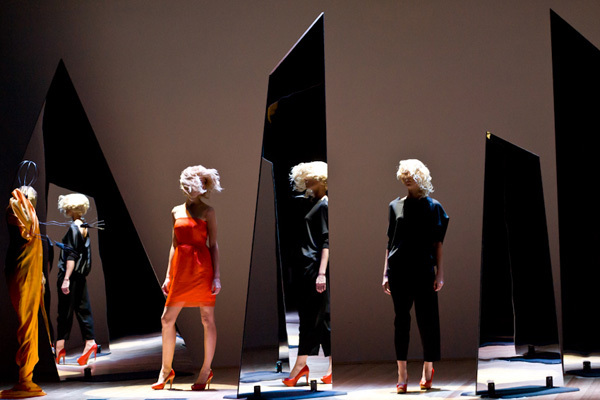 Correct me if I’m wrong, but I don’t think this idea with mirrors was ever used in a fashion show. 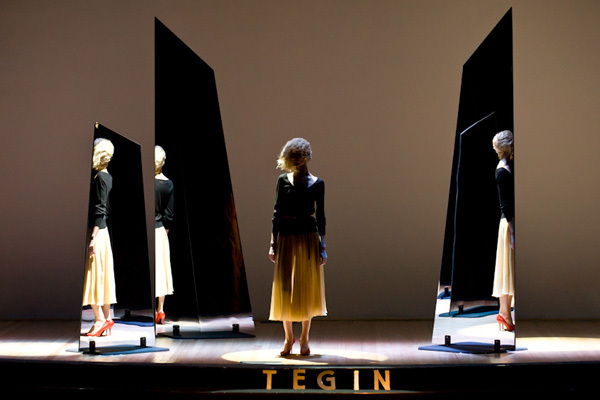 Where it was indeed used a lot, it is in surrealist movies and paintings. 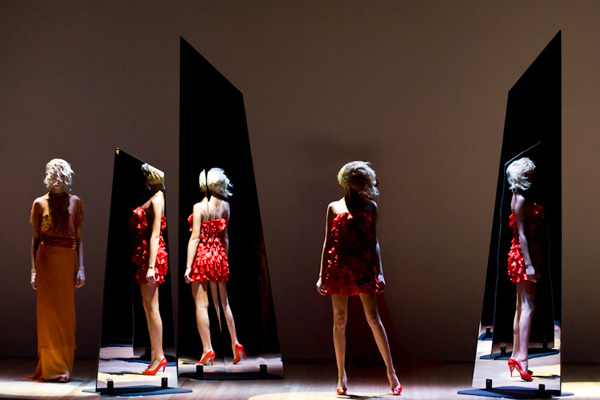 Salvador Dalí immediately comes to mind…. 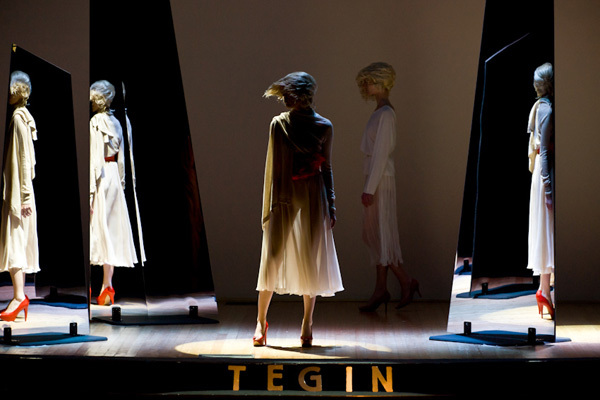 Can’t you picture Gala wearing Tegin’s clothes?